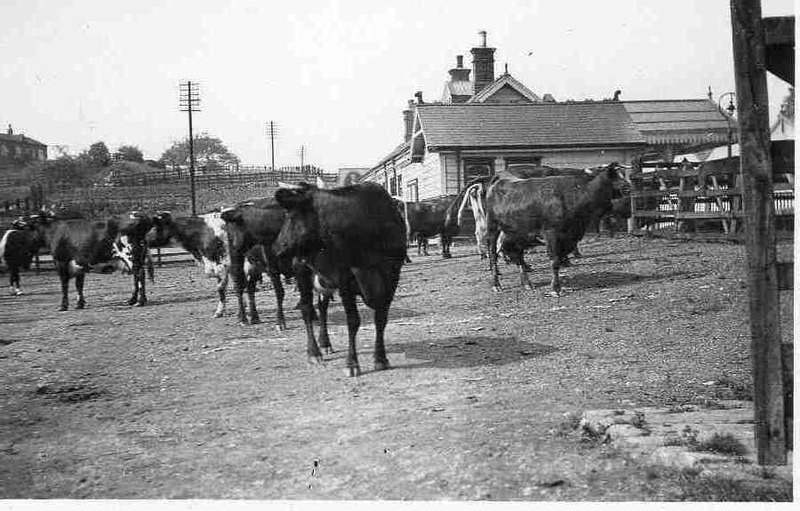 Peat Cattle in Killamarsh Central Station yard – 3 July 1935. Photo courtesy of V. Hopkinson. The bungalow top left is where I was born in 1941 and lived until 1965. Built by my Grandfather around 1925. It came as a flat pack from somwhere in Lincolnshire and was delivered to Killmarsh Station.Ron M.